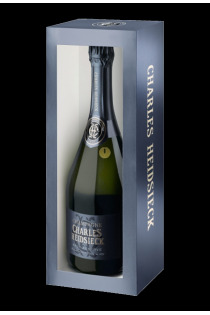 Products of the domain : Heidsieck Charles. 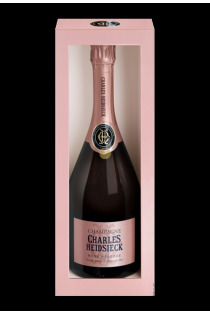 Located in the Champagne vineyard, in the commune of Reims (Marne), Champagne estate Charles Heidsieck produces rosés and white wines of appellation AOC Champagne. In 1851, Charles-Camille Heidsieck invested in his own vineyard, in order to produce his own champagne. He is therefore interested in the development and maturation of champagne. The Champagne Charles Heidsieck House is made up of 65 hectares of vineyards with white grape varieties: Chardonnay blanc, Pinot noir and Meunier noir. The vines have as their soil and subsoil, thick hard limestone, Campania chalk, Sparnacian clay, chalk gravel, Lutetian marls and chalk at Belemnites. The house uses a reasonable viticulture. The method of winemaking in Champagne is preserved and a malo-lactic fermentation is practiced for the white wines. As a result of bottling, champagne ages in chalk for at least 3 years, while the maturity threshold of the AOC Champagne appellation is set at 15 months. The Brut Réserve is the most famous cuvée of the Champagne House Charles Heidsieck and is made up of the 3 grape varieties of champagne, present in equal parts. 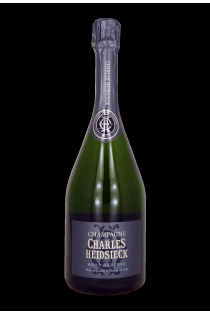 Brut Réserve - Heidsieck Charles. Brut Réserve avec coffret - Heidsieck Charles. Rosé Réserve avec coffret - Heidsieck Charles.